Laramie Regulators Baseball Inc. is a 501(C)(3) non-profit organization with the mission of providing Laramie youth the opportunity to play competitive baseball in Northern Colorado and Wyoming during the spring and better prepare them for the Laramie Youth Baseball season and beyond. The Regulators will field teams in the following divisions for the 2017 season: 9u, 10u, 11u and 13u. 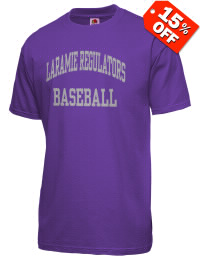 In the future, we hope to add more teams to our brand and ultimately have more Laramie youth provided the opportunity to play travel ball for Laramie Regulators Baseball Inc.